Hubby went off to a photo coverage gig this afternoon. He covered a cutie jungle safari themed birthday party at Valle Verde 1 Clubhouse in QC. Thankfully our assistant was available to join him. I, on the other hand, met with some friends for dinner and some coffee and ice cream at Gelatissimo, Greenbelt 5 in Makati City. 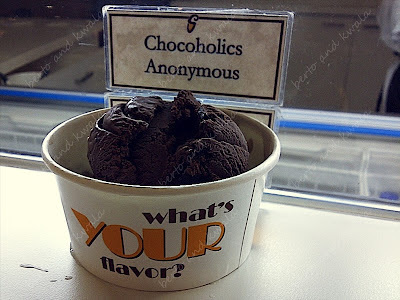 Being the caffeine chaser that I am, I opted to have coffee instead of ice cream, but as I watched my friends lick and "mmmm...." their way through their cold treats, I remember the ice cream hubby and I had a few months back. It was called Sebastian Ice Cream from The Block in SM North Edsa. They have delicious and unique flavors to choose from. When comes to food, hubby is not the adventurous type, he is more inclined to choose the tried and tested flavors, so that time he chose the rich and creamy Chocolates Anonymous. 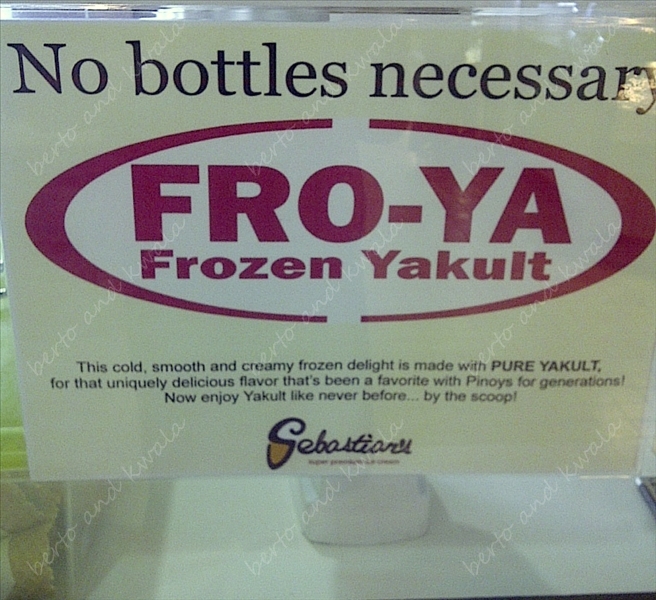 I had the yummy Fro-Ya flavor, which was short for Frozen Yakult. 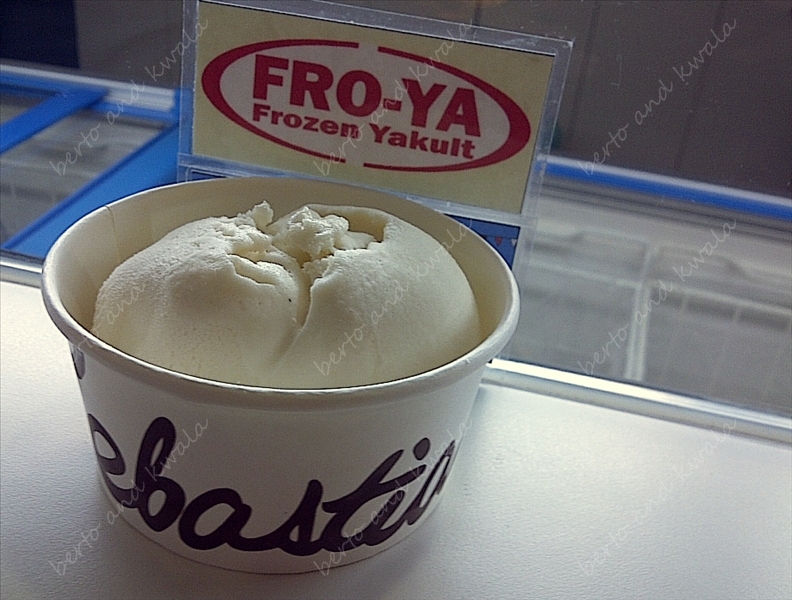 The cold and creamy delight was actually made of 100% pure Yakult, as in the lactobacillus shirota strain! hahaha! I used to gulp it down when I was a kid, then I had the chance to eat some by the scoop! 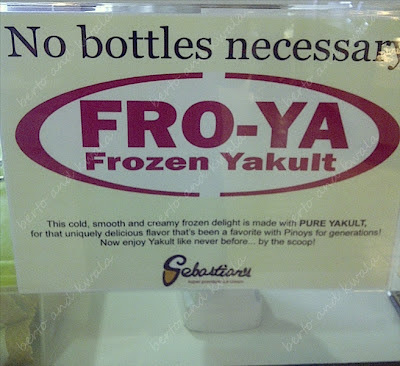 we've tried their yakult flavor from their trinoma branch before. yakult nga sya! hehehe. now, you got me craving for some ice cream! tsk tsk!